Best suited to the players looking for on-court comfort and performance, don't miss out on the Wave Phantom Netball Trainers. Every player needs good sporting trainers, these shoes are a great choice if you're looking for competitive comfort and performance, become the leader that your teams always needed. 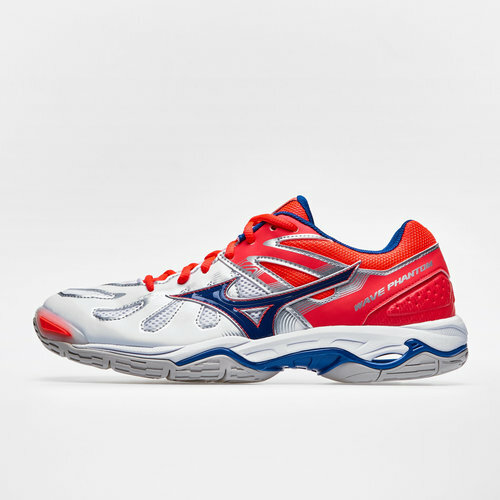 Designed by Mizuno in a White, Tile Blue and Solar Fiery Coral, it won't just be your performances that will leave you standing out.